The Proceedings of the National Academy of Sciences (PNAS) lifted the embargo early Friday on a paper about sleep, race, and heart disease, after a university jumped the gun. Five years ago, then-new journal eLife announced that it would eschew embargoes — and my nemesis, the Ingelfinger Rule — in favor of unfettered scientific communication. I applauded the move — which I had some input into — then. Last month, the American Diabetes Association (ADA) stepped in it a bit. 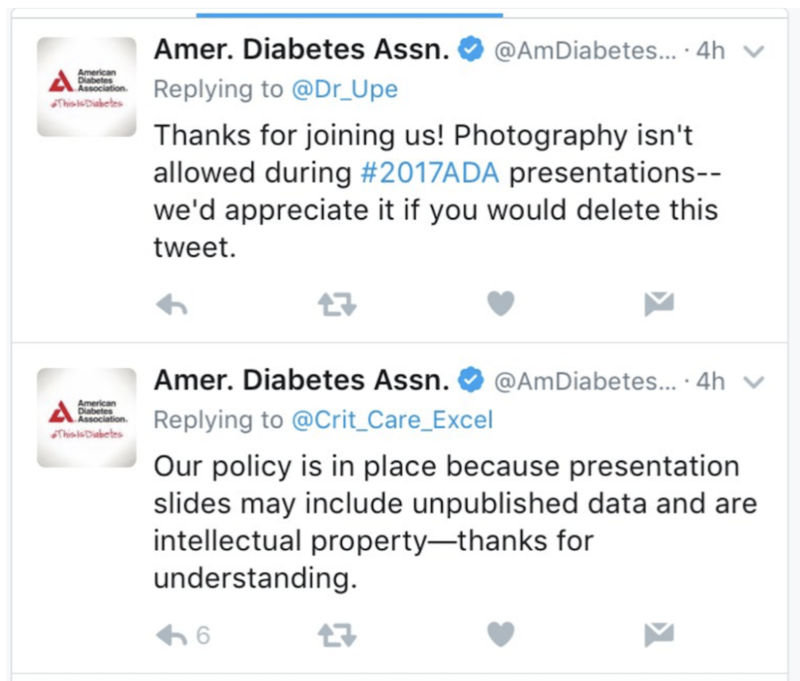 In a move that predictably richocheted around Twitter — and into the medical trade press — the ADA politely, but publicly, asked attendees of its recent annual meeting to take down photos they’d posted of conference slides. Tweets were fine, as long as they didn’t include pictures of slides.